Especially when it's a box that consists of unique treats that are only made in Oklahoma. Who wouldn't want that, right? Well, now you can have this kind of mail delivered to your door each month, thanks to OK in a box! Each month's box has a different theme, so it'll always be something new and exciting! This box's theme was "Landrun," which was perfect for their debut box. Not only would this be something worth purchasing for yourself but also for others! With the Christmas season upon us, why not send fellow OK lovers the gift of Oklahoma throughout the year? It's the perfect gift for someone who has moved away but still wants a little piece of our lovely state brought to them each month. Just to give you an idea of what you might find in a box like this, take a look at what came in the first month's box. The pecans? Gone. The apple spread? Crazy good. 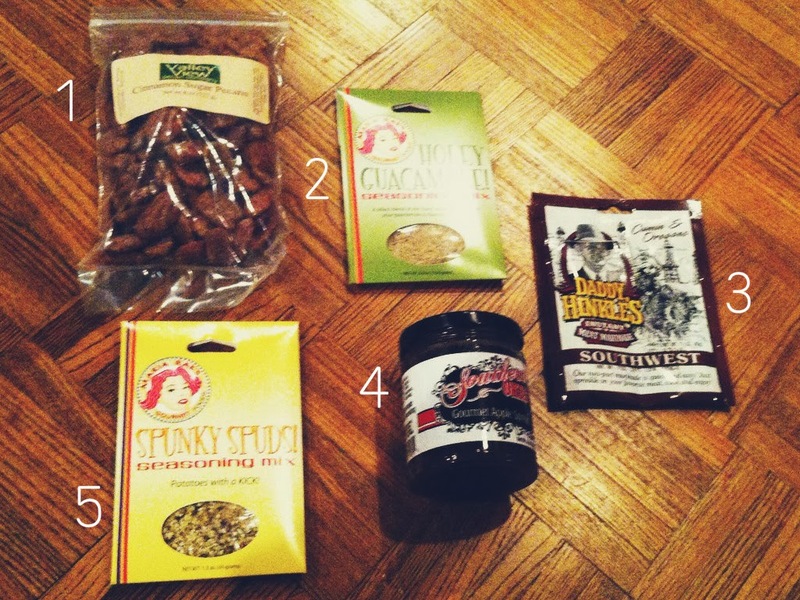 We have yet to indulge in the other items, but based on the other products, I assure you that they will be tasty. The best news? You can receive $10 off of your first order! Just click here to order and redeem your coupon. (Coupon is embedded and will be added at checkout.) I hope you guys check it out! 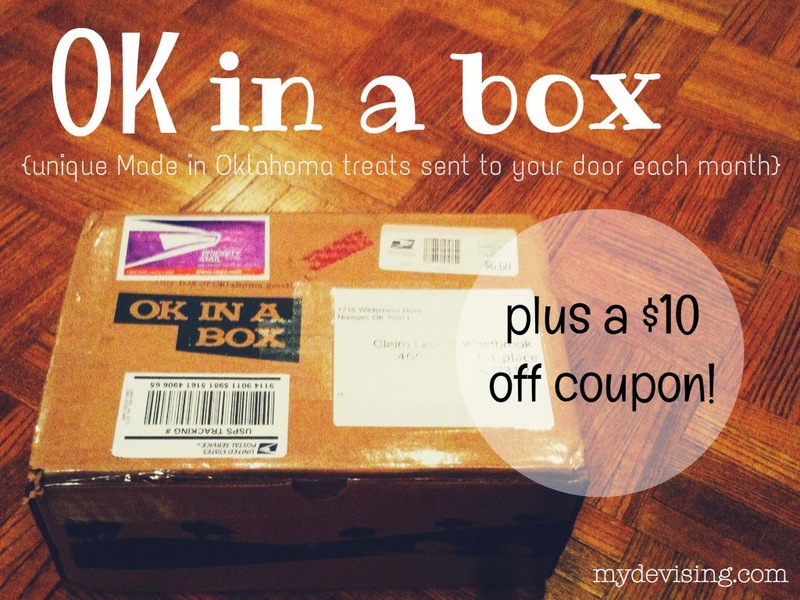 I was provided a box from OK in a box in return for this post, but all opinions are my own.